During the firm's annual press conference, the Chairman of the Board of Management of BMW AG confirmed the large three-seater SUV will built. Harald Kruger announced that the BMW X7 will be sitting at the top end of BMW’s portfolio and will be taking an in-depth look at the additional potential of this highly attractive segment. 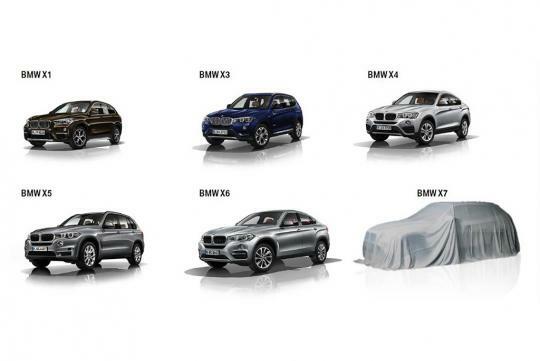 Judging from the photo, the new SUV looks significantly larger than the X5 and rumors online suggest the car will be based on the current 7 Series platform. Considering that the SUV should reach the showrooms in 2019, it should overshadow the flagship sedan in terms of technology and will become the most luxurious BMW ever. Expect the car to share most of the running gear with the 7 Series, which means it should get a wide range of gasoline and diesel powertrains that might include V6s, V8s and even a V12.